Our European Year of Cultural Heritage is in full swing! European events and initiatives are gaining momentum across Europe. EU Institutions, Member States and civil society stakeholders work together to ensure the success and the legacy of this Year. An ambitious EU Agenda for Culture will be soon proposed by the EC and conclusions on cultural heritage will be adopted by the EU Council of Ministers on 23 May. 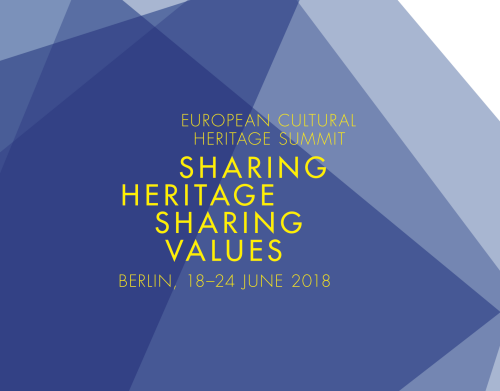 Preparations for the first ever European Cultural Heritage Summit “Sharing Heritage - Sharing Values” on 18-24 June in Berlin are in their final phase with many confirmed eminent speakers. “Refondons l’Europe par la Culture” urged French President Emmanuel Macron on several occasions since his memorable speech at the Pnyx in Athens last September. 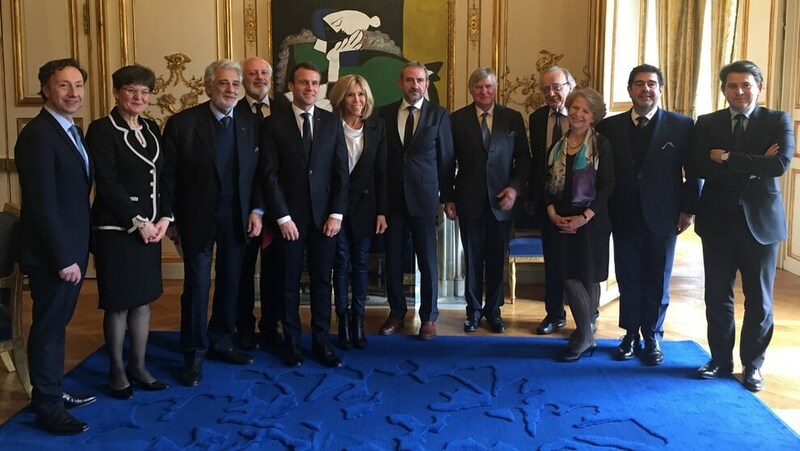 On 2 March, the Europa Nostra delegation led by our President, Plácido Domingo, was honoured to meet in Paris with President Macron and his wife Brigitte to discuss ways in which we can join forces and voices to transpose this vital appeal into reality. In this context, Maestro Plácido Domingo and Europa Nostra invite each and everyone to contribute to our #Ode2Joy Challenge. Be creative and be numerous to post your contribution on social media as of 9 May – OUR EUROPE DAY! The Ceremony, hosted by our President Plácido Domingo and the EU Commissioner Tibor Navracsics, in the presence of President Frank-Walter Steinmeier, will be held on 22/06 at the BCC. Proud winners of the 2018 EU Prize for Cultural Heritage / Europa Nostra Awards will present and discuss their outstanding achievements during the Excellence Fair on 21/06 at the Allianz Forum. The Summit programme comprises some 50 events organised by renowned European and German institutions and associations from the wider field of cultural heritage. Through the Europa Nostra ENewsletter you regularly receive information on our activities and other relevant news on European and international policies, funding and activities related to cultural heritage. Our ENewsletter also includes invitations to our congresses and other events as well as calls to participate in our European programmes such as the European Heritage Awards and 7 Most Endangered Programme. As you might know, the General Data Protection Regulation (GDPR), which was adopted by the European Union in 2016 will take effect on 25 May 2018 in all Member States of the European Union. This important EU regulation aims primarily to give control back to EU citizens and residents over the use of their personal data. In compliance with the GDPR, we kindly ask you to confirm your authorisation to Europa Nostra to continue sending to you this ENewsletters and/or our Press Releases, Special Announcements and Surveys by clicking here. By doing so, you will give Europa Nostra specific authorisation to use your personal data (name and email address) for the purpose of sharing with you Europa Nostra related information. Please note that you can withdraw your authorisation at any time by clicking the "unsubscribe" button at the bottom of our ENewsletters and other electronic communications or by email to: info@europanostra.org. We thank you in advance for your trust, input and support.